I am not a user of Leica cameras and lenses, but I still think it is worth mentioning Leica’s recent launch of a new image hosting website, www.LeicaImages.com. LeicaImages.com is a free online gallery for hosting photos captured with Leica gear. That does limit it a bit to a very specific niche photographer for posting images. But there is no reason the rest of us can’t oooh and ahhh at the work produced by these very high end and high quality pieces of photography equipment. The site is rather advanced as well. It features search functions that allow you to search for an image taken by a specific lens or camera, by focal length, photo age, aperture as well as predefined categories. This is great for both the Leica enthusiast looking for examples of work done with the equipment they own as well as someone researching the potential purchase of a Leica camera or lens. Here are a few more features of LeicaImages.com courtesy of Leica. Remember Photos – Keep track of photo you like. No more forgetting where you once saw that photo. EXIF Editing – If your photo was scanned or no EXIF data is in the file, you can set and customize the EXIF data for the uploaded file. 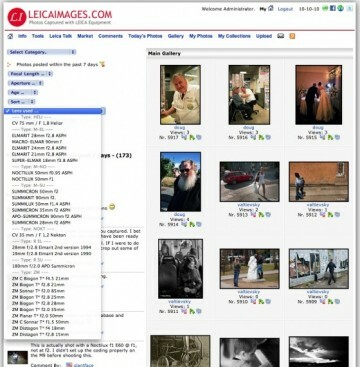 EXIF Search – You can search for photos by clicking on EXIF data. Doing so will show you photos with the same EXIF data. Personal Lens List – Build a personalized list of lenses you own or have used. This makes assigning them to photos a breeze. MTF Data – View MTF data for a lens. When you view a photograph, the EXIF data will show the specific lens used. To the right of that lens description is an icon representing a pdf file. If the data is available, Clicking on this icon will display the MTF data sheet for the lens. Follow the photographer – If you want to be kept up to date when a specific photographer uploads new photos simply add that photographer to the “My Following List”. You will then receive email notifications when the photographer uploads new photos. Slideshow – View a slide show. Whenever you see the Silde Show icon, clicking on it will present you with a slide show. 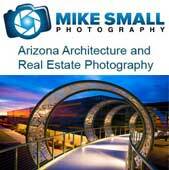 This may be for a specific photographer, today’s photos, category or collection.